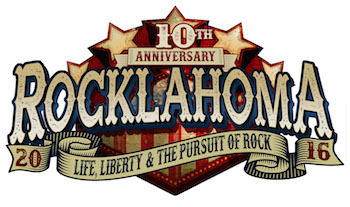 Band performance times have been announced for the tenth annual Rocklahoma, May 27, 28 & 29 at "Catch The Fever" Festival Grounds in Pryor, OK. America's biggest Memorial Day Weekend party features a lineup of the best current rock artists and classic bands, including Scorpions, Disturbed, Rob Zombie, Five Finger Death Punch, Megadeth, Chevelle, 3 Doors Down, Sixx:A.M., Collective Soul, Sebastian Bach, and many more. General Admission and VIP camping packages remain at current prices. The Rocklahoma campgrounds open Sunday, May 22 at noon CDT and will remain open through Tuesday, May 31 at noon CDT. Camping packages can be purchased by calling the Rocklahoma Camping Office at (866) 310-2288 or emailing info@rocklahoma.com. For more details, visit www.Rocklahoma.com. Fan voting has ended, and the top 5 finalists for the annual Miss Rocklahoma competition have been chosen. Finalists Lynsie, Nicki, Jenn, Jeri and Victoria will compete on stage at Rocklahoma for the chance to be named this year's Miss Rocklahoma.